Scotland FFA Chapter received Gold Star Recognition on the Nationa l Chapter Award. Out of 7,000 chapters nationwide, only 177 chapters received recognition for the National Chapter award. To be competitive for this award, chapters must demonstrate achievement in three divisions: Chapter development, Community development, and Student development. Each division has 5 quality standards specific to the division. A few examples of activities Scotland FFA performed were Coats for Kids charity event, Food for Thought, established a chapter garden, and conducted student-led chapter meetings. 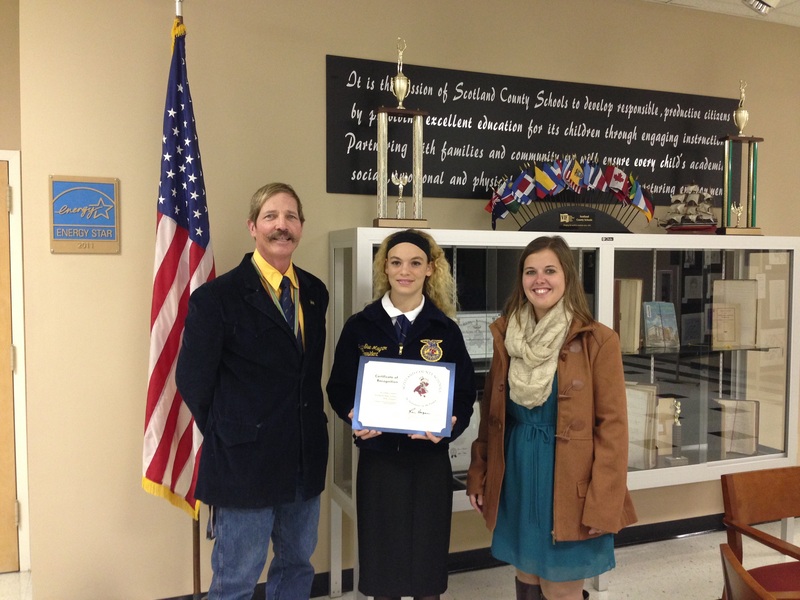 Peggy Maynor attended the banquet on behalf of Scotland FFA to accept the award. 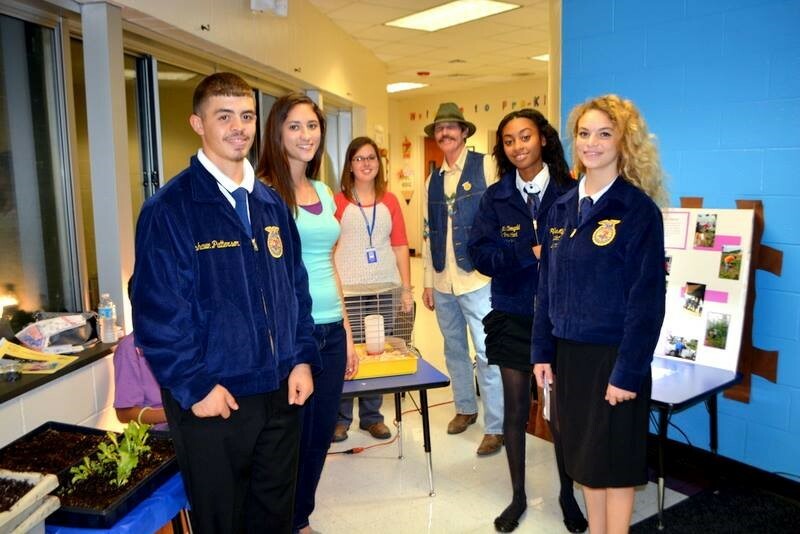 Scotland FFA Officers Dwayne Locklear, Jacklynn Levario, Aliyha McDougald, and Peggy Maynor attended the Wagram Elementary’s health fair along with advisors Reid Ledbetter and Jada Taylor on Thursday November 6, 2014. The officers educated students about agriculture including transplanting lettuce seedlings, raising baby chicks, and growing lettuce in hydroponics. Students were about to transplant their own lettuce seedling to take home and grow. This entry was posted in Ag, FFA, General. Bookmark the permalink.